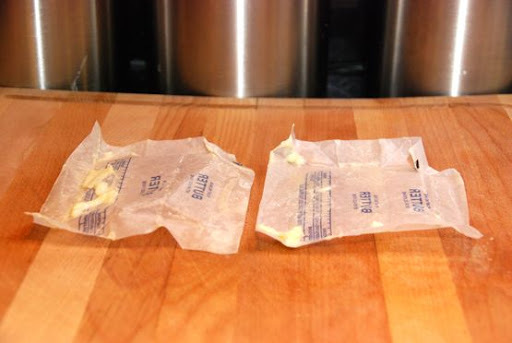 Baking Tip: Save Those Butter Wrappers! Since I do a lot of baking around here, I go through lots and lots of butter. Especially around the holidays when we're entertaining and I'm baking my Ten Favorite Comfort Food Recipes and Cookies Galore. Which means I end up with a whole lot of these. Butter wrappers come in very handy when I'm baking. Let me show you. See all of that butter left on there? 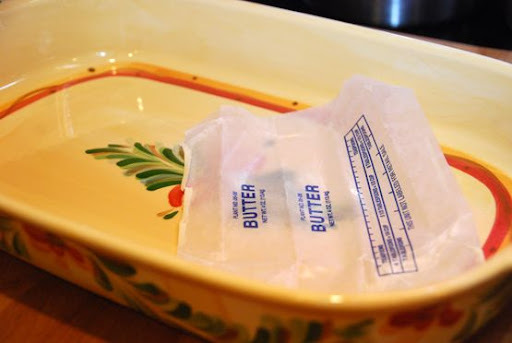 I use butter wrappers to grease my baking pans. I turn them butter-side down in the pan, and spread the butter all over whatever baking pan I'm using. One butter wrapper will grease an entire 9" x 13" baking dish! 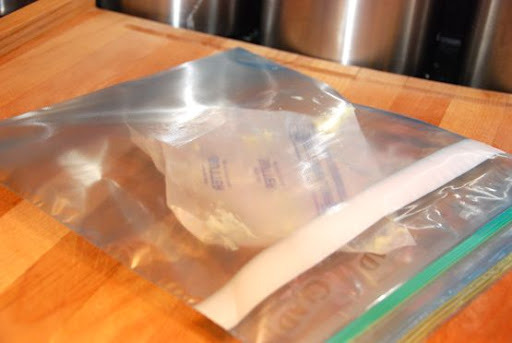 If I use more than one stick of butter in a recipe, then I store the remaining one(s) in a Ziploc bag in my refrigerator. 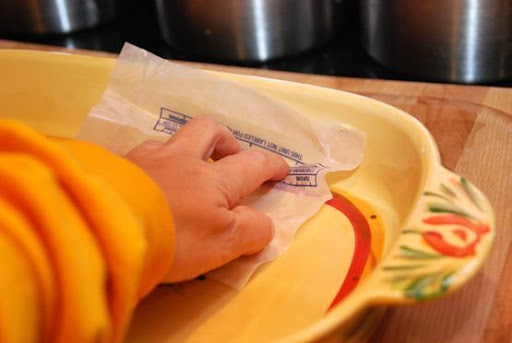 Then, any time I need to grease a pan, I grab a butter wrapper out of the bag! 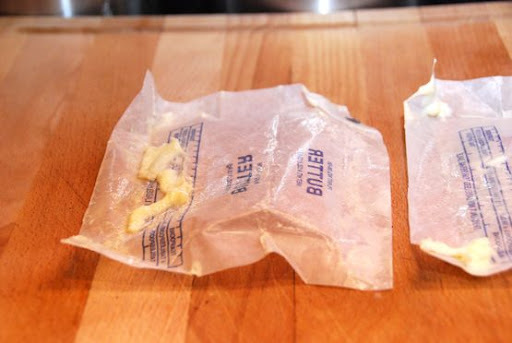 So, save those butter wrappers instead of throwing them away! *For more recipes, click on my Recipe Box on my sidebar. You'll find a lot of holiday recipe ideas - from appetizers to main dishes to desserts! For more frugal tips, visit Life as Mom on Fridays. Aren't you just the cleverest thing, Miss Martha! Thanks a bunch!! I've done that before, but thanks for the reminder! Right now I am having a "duh" moment. Brilliant. Bookmarking now. I know I told you this already, but such a great idea Sar! What a good idea; I have never thought of doing this. Smart tip--I always forget to do it, but thanks for the reminder! I found you through the WATF WFMW carnival and had to come see why I needed to save butter wrappers. What a wonderful idea - thanks for the tip! Thanks for sharing your tip. I do this too and am always surprised at how many people throw them away! Waste not, want not. Stop by and see me sometime over at Free 2 Be Frugal! Great Idea!!!! I would have never thought of that! 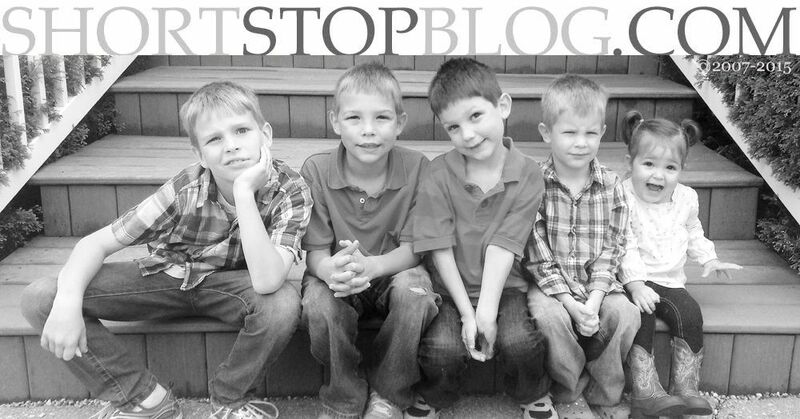 Great article here and the tips are very comprehensive. For sure many entrepreneurs with small and big businesses are going to benefit from this. Keep it up!